2 Bedrooms, each with a Queen size bed, 1-1/2 bathrooms - (full bathroom upstairs and half bath in first floor), full kitchen with brand new kitchen appliances and complete to make your own meals at home. There's a front patio with BBQ grill and a screened back patio with table and chairs. There's a 43" Smart TV in the living room and smaller ones in each of the two bedrooms. There's a full bath in the second floor and it's equipped with towels and linens. ocean is within walking distance, inside the gated community and suitable for snorkeling, going to the end of the jetty to watch the sun set..
Villa was very comfortable! Definitely in the best spot on the property!! Easy access to everything and far away from the seaweed odorous beach. Would have loved to use the fire pits at the beach but the seaweed does leave a very unattractive odor. Either way this did NOT detract from our week vacation. There is plenty of property to use and enjoy!! We really loved this home's location - the yacht club is quiet, beautiful and in such a great location!! The house was immaculately clean, the beds were comfortable and everything was exactly as promised! We would stay here again anytime! Great place to stay in Key Largo Oceanside. 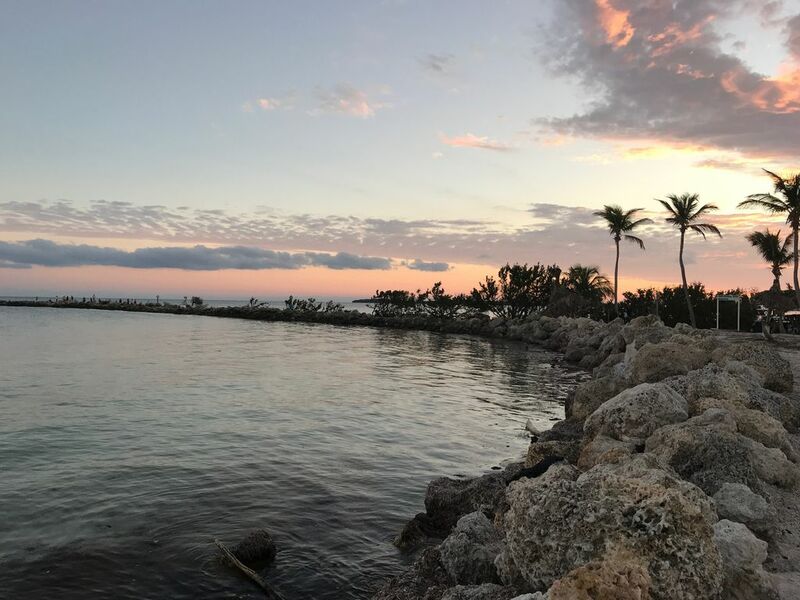 Close to everything Key Largo has to offer. Clean and nicely furnished. Short walk to the water where you can wade or fish. Great communication with the owners. Really enjoyed this place. Good location. Community has a lot of amenities. Enjoyed our stay. My boyfriend and I stayed here for a few days after my sister’s wedding in Key Largo. It was the perfect place to unwind after a busy few days! Spent 5 weeks there. Very nice and clean. Pool was great. Unit could use more cooking vessels including large pans and casseroles. Could have used a vacuum cleaner and mop. Snowbirds were all kind and friendly with many planned activities. Unfortunately the ocean beach had a bad smell all the time, with lots of seaweed and garbage. Lots of good restaurants. With all that said we would rent again. Refundable security deposit of $300.00 is due before arrival.